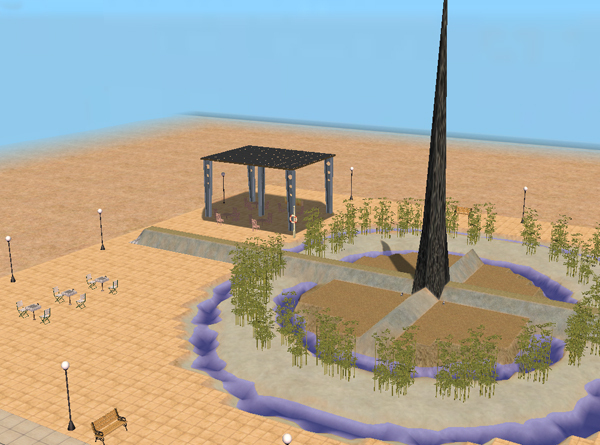 There is plenty of room for music, even a cafe, to be built on this lot if your Sims like a busy place... but I had in mind a rather quiet, contemplative place for pondering the mysteries of the universe. 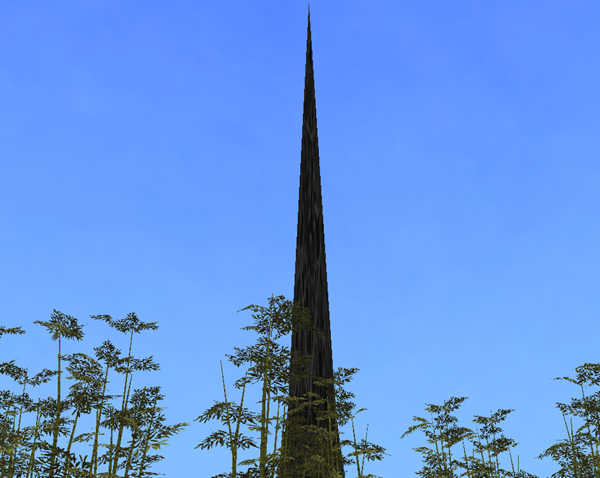 Its focus is the amazing Otter Spire, inspired by, though much smaller than Otter's work in ATITD. 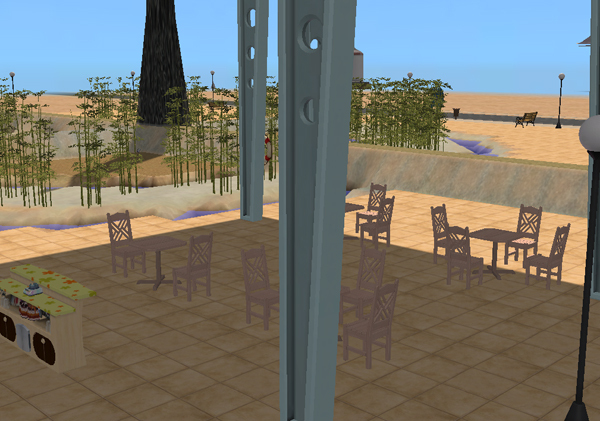 The transparent metal grid tiles on top of the refreshment bay were made by CycloneSue at TSR and used with permission.